After knowing several facts and surprising things in Ural Mountains, you have to know about 7 animals that live in Ural Mountains. Wolverine also refers to carcajou, glutton, quickhatch, or skunk bear. It is the largest animal in the family of Mustelidae that lives on land. Due to its size and strength, it resembles small bears than any other Mustelidae. With those qualities, it can kill prey which is many times larger than itself. An adult wolverine is usually 65–107 cm in length, with the length of tail of 17–26 cm and weights up to 25 kg. However, some exceptionally big male wolverine can weight up to 32 kg. In Russia, this kind of animal live in Ural forests. 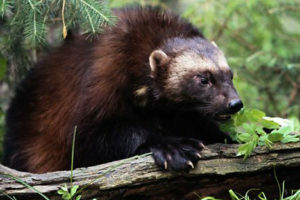 Wolverines are scavengers and they can eat carrion or fresh flesh. Moreover, they usually follow trails of wolf and lynx to scavenge the remaining flesh. Their prey include medium-sized mammals, like porcupine, white-tailed deer, goats, cattle and bison. They are also preyed upon by wolf. 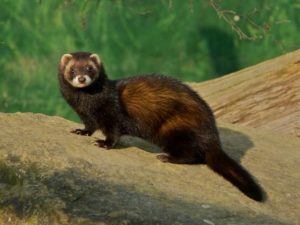 European polecat also refers to black or forest polecat, common ferret, or fitch. Compared to other animals of Mustela genus, polecat has a shorter, more compact body. It is famous for its ability to secrete foul-smelling liquid to mark its territory. These animals live in southern side of Ural Mountains. Male and female polecat have distinguishable characteristics. Male polecat is bigger than female one. Males are 350–460 mm, while females are 290–394 mm long. Males’ tails are 115–167 mm long while the others’ are 84–150 mm. Moreover, their distinctive characteristics are also seen from their weights. Adults male weights reach 1,000-1,500 grams while the other ones are 650-815 grams. Polecats usually eat mouse-like rodents, birds and amphibians. Their preys are mostly common voles, pigeons and green toad. Unlike weasel and stoat, this animal can eat carrion. Moreover, they feed on honey during winter when preys are scarce. Red fox and wild and domestic cats are their enemies. 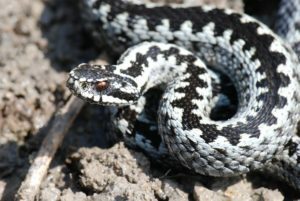 This snake is also known as common European adder or common European viper. It is venomous snake which seldom makes fatal injuries. It only bites when it is endangered or disturbed. Although it is not aggressive, its bite can be very painful. They live mostly in the Southern and Central Ural. Adults are usually 60 cm long and the biggest ones are found in Scandinavia with 90 cm in length. Their weights are varied that range from 50 grams to 180 grams. They mostly eat small mammals, like lizards, mice, shrews and voles. They also eat amphibians and birds. 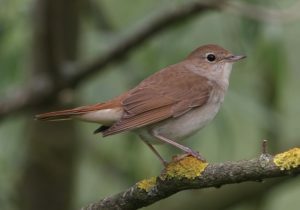 One of birds that live in South and Central Ural Mountains is Common Nightingale, besides Redstart. It is a song bird which is included in family of Muscicapidae. This bird is slightly bigger than European robin, which is about 15–16.5 cm long. Most of its body is brown color and its tail is reddish. Meanwhile, its below body is white. They are insectivores. Their breeding habitat usually meets several geographical factors, like it should be less than 400 m above sea level, surrounding aridity index is lower than 0.35, mean air temperature during the growing season is above 14 degree Celsius and annual precipitation is less than 750 millimeters. Gopher is one of rodents which live in South part of Ural Mountains. People also call them pocket gopher. 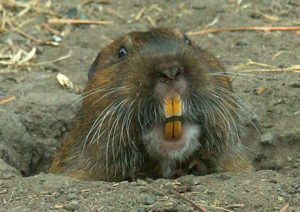 Gopher belong to burrowing rodents of Geomydae family. This animal is famous for tunneling activities. They are about 150–200 mm long and their tails are about 25–51 mm long. Their weights are around 230 grams. However, few of them can reach up to 1 kg. Their activities of tunneling are means of protection and collecting foods. Unlike ground squirrels, they are seldom being on ground and do not live in large group. They eat vegetables and like moist soil. Thus, people treat them as pests. 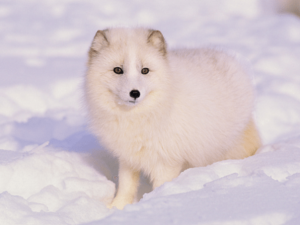 Arctic fox has many names which include polar fox, snow fox or white fox. They have white, thick and warm fur to protect them from cold and as part of camouflage. The animals that live in Polar Ural Mountains, exactly in Siberian tundra, only live for 3 to 4 years in the wild. Male foxes are bigger than female ones. Their body range from 41 to 68 cm long with tails of 30 cm long for both sexes. Their weights are 1.4-9.4 kg. They eat any small animals they can find which include birds, fish, lemmings, other rodents, voles and carrion. This fox also scavenge remaining flesh left by bigger predators, such as polar bears and wolves. They can also prey on eggs they find. When preys are scarce, they can even eat their poop. Another animal that lives in Polar Ural Mountains is Snowy Owl. 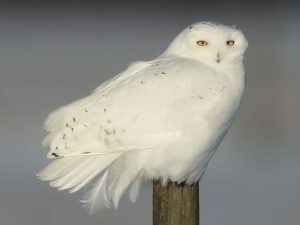 Snowy owls are large and belong to owl family. Males have all-white fur while females have more flecks of black plumage. Meanwhile, juveniles are black until they turn white. Unlike common owl, snowy owls hunt during the day and sleep during the night. They are 52–71 cm long with 125–150 cm wingspan. Their weights range from 1.6 to 3 kg. They can eat small mammals, like deer mice and larger mammals, like hares, muskrats, rabbits, raccoons and squirrels. They can also prey on birds, like grouse, pheasant, songbirds and shorebirds. Those are 7 animals that live in Ural Mountains. You can also read endemic animals living in Caucasus mountain, animals in Volga river and sweet facts of Siberian cat.